I love it! Poor foxy. Beautiful! I love those rooftops! Nice, nice, nice work Carlyn! Love this so much! 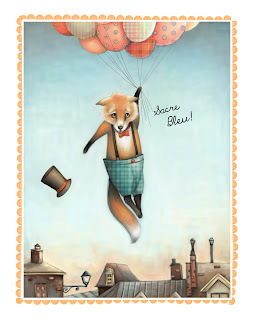 Lovely piece - hang on Mr Fox. I like the patterns on the balloons! This is my new favourite thing in the world.